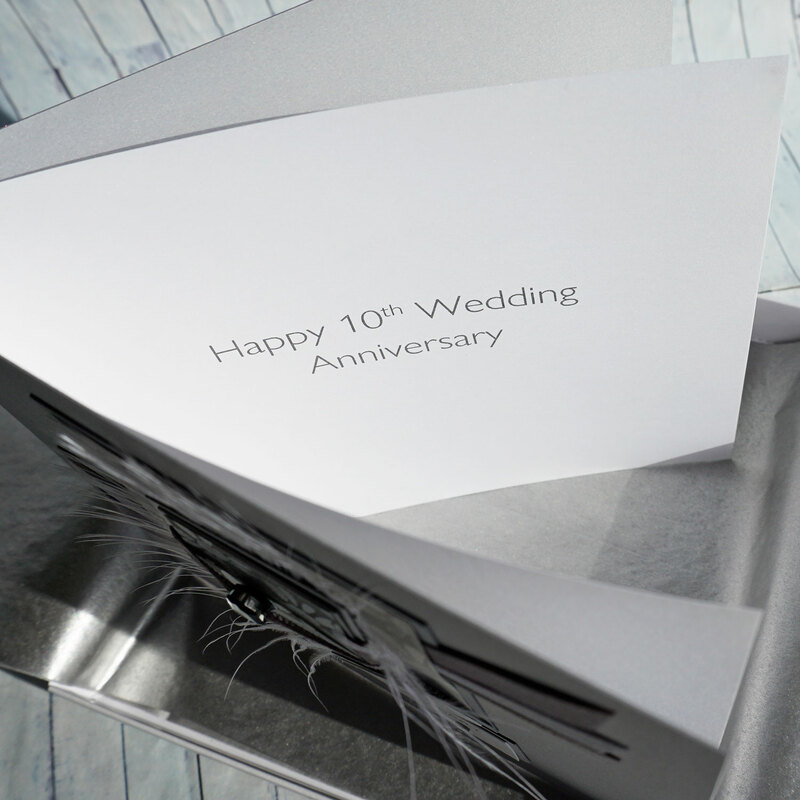 Introducing a new tin wedding anniversary card. 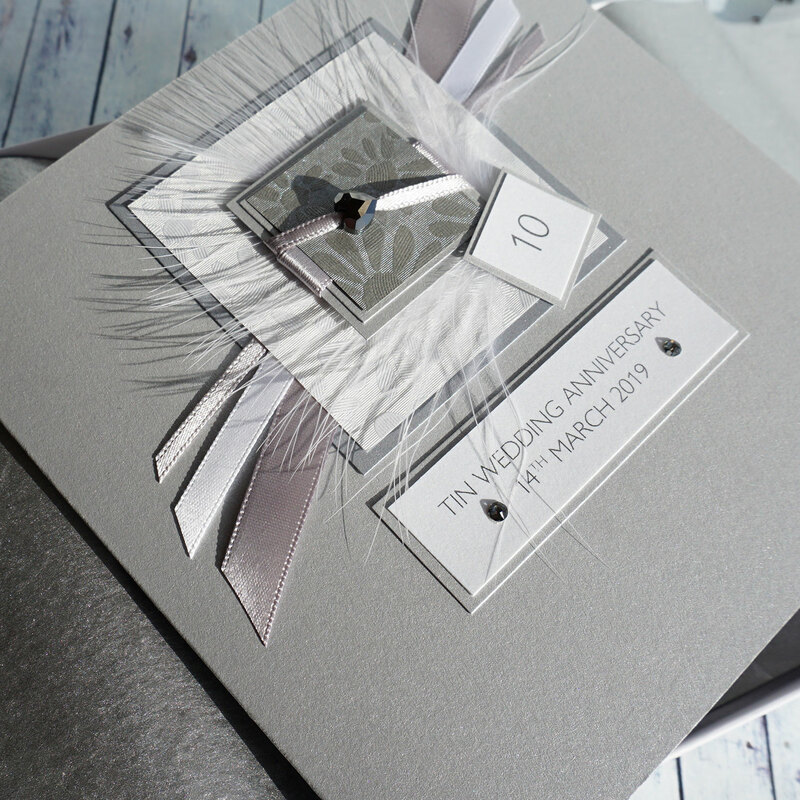 This 10th wedding card can be personalised for son, daughter, husband wife, brother, sister, friend. 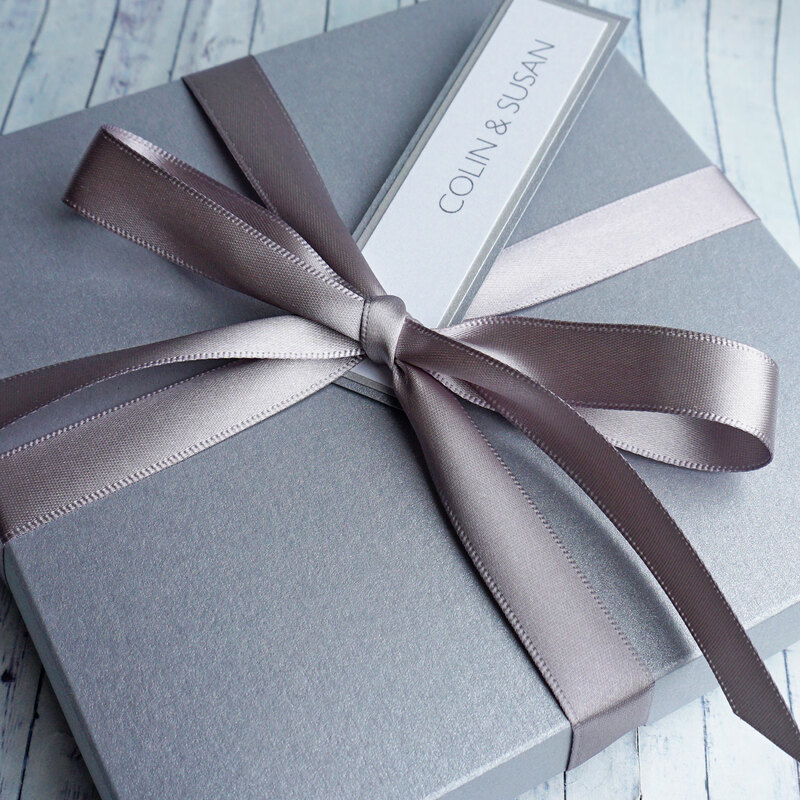 Available with a white envelope or white or silver tissue-lined boxes.